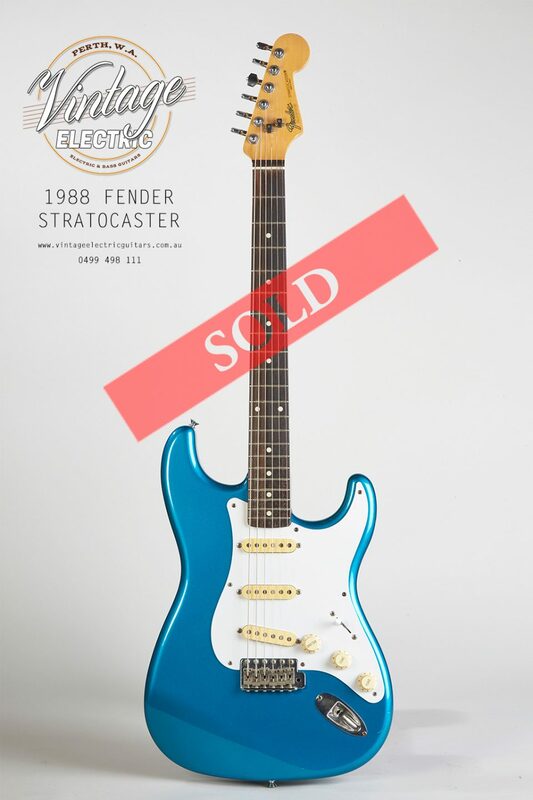 Amazing condition Japanese custom colour Stratocaster in Lake Placid Blue. I do have a soft spot for this guitar as one of my first musical instruments owned was a 1988 Japanese Stratocaster in Olympic White. I like this instrument a lot. Perfect instrument for a musician learning and playing live. Perfect intonation, this solid playing guitar has a clean rosewood fretboard on a maple neck. Finish has a sparkling effect in real life. Fine guitar. Modifications & Repairs: Switch tip has been replaced. Case needs the handle re-attached.